The football pitch was built on a land leased by Wicherkiewicz family. Today the street is named Grzybowa. Rye used to grow on the leased land which made it hard to prepare the soil for the construction. However, the commitment and determination eventually led to a success. The ground was sprinkled with sand and gravel and two hand-made goals were put on each end. The goals were often hidden at night in Kazimierz Krych's shed in order to avoid theft. The dressing room was a small place located close to Stanisław Grzesiak's and Jerzy Tritt's restaurant. In 1927 the pitch was surrounded by a fence and since then the fans had to pay a small amount to watch a game from the stands. The first recorded match in the history of the club was a clash with Sparta Poznań, on September 17th, 1922. The game ended with a draw, 1:1. Sport Association Dębiec League used the field until the club was taken over by KPW Poznań. The last match played at the football pitch at Grzybowa Street was a clash with Polonia Leszno. The game took place on September 2nd, 1934. Józef Gośliński scored the last goal at Grzybowa Street. The club was forced to change its home base since the 12 year-old lease was about to expire. Wicherkiewicz family wasn't fond of football and therefore as soon as the club moved, the family started using the land for agriculture again. Lech hosted III Railway Men Olympic Games, and therefore hoped for a donation to support the construction of a new stadium. 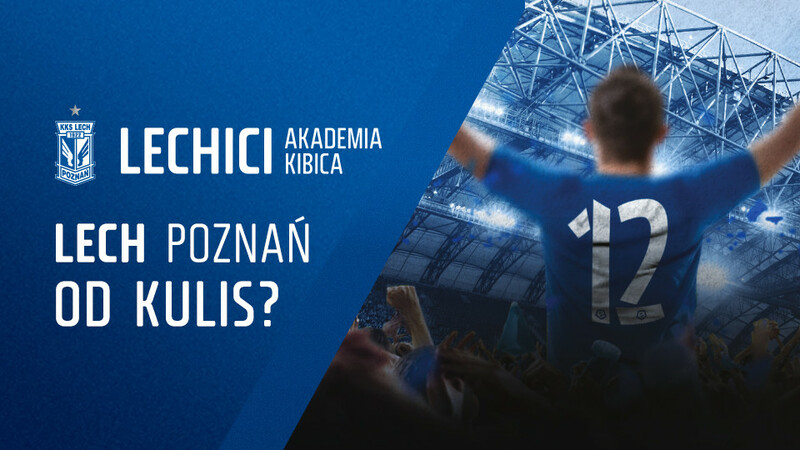 However, it soon became clear that KPW Poznań board wasn't able to invest more than 20,000 zł – much less than expected and too little to complete the construction of a stadium in Dębiec region. Nevertheless, the building took off. Warsaw provided money needed to build a single stand (able to fit 1,200 people) only. People collaborated and thanks to immense commitment and determination, the stadium was finished by September 1934. The stadium was equipped in full-dimension field, four-track treadmill and a few ground-based stands able to fit more than 10,000 people. Later on an additional wood stand with a roof was constructed. The first match to be played at the new stadium began at noon, on September 23rd, 1934. In the A-class clash KPW Poznań won with the reserve team of Warta Poznań 4:0. Edmund Białas was the one to score the first goal in the history of the stadium. In autumn 1949 a clock controlled by an electrical board was installed on the grounds. 6 years later at the same stadium a historical match took place. The club faced Lokomotiw Sofia and the pitch was floodlit by artificial light for the first and last time ever. 24 giant reflectors hung on pine poles provided light for the fans. Nevertheless, when the sun set, the lighting was poor and therefore the construction was soon demolished. The West Stand contained a wooden box (meant to imitate modern press stands) that could fit 3 journalists. In 1951 the box burned down and the only seat at the whole stadium was destroyed by the fire too. Soon enough the stadium became too archaic to meet the growing club's needs. The stands were too small, the dressing rooms and sanitary devices of poor quality and changes were required. A decision to renovate the stadium was taken. In a record short time the renovations were completed and the stadium became much more functional. The treadmill vanished and the stands were widened, which expanded the capacity to 22,000 people. A tunnel leading to the pitch was built, a few cashes were attached at the front of the already-existing construction, basketball pitch was designed and new training pitches with separate dressing rooms were constructed. In May 1960 the highest attendance was recorded. About 25,000 people came to watch the clash with Śląsk Wrocław. Shortly afterwards a clubhouse was built where a medical clinic was situated. When Lech got promoted to Ekstraklasa in 1972 the stadium once again became too small for the needs of an ambitious club. Romuald Chojniacki was Lech's last player to score on the pitch located in Dębiec region. The last match played at the stadium took place in November 1996. Due to the riots at Bułgarska Street during the match with Legia Warsaw, the Polish Football Association banned Lech from performing in front of the audience. Therefore, the footballers played the last match – against Stomil Olsztyn – without the fans' support and lost 0:1 after a goal from Paweł Gadziała. In 1929 the Common National Exhibition was supposed to take place in Poznań, but the city needed a well-suited location for the opening ceremony. After a profound analysis, the city government commissioned a construction of a city stadium near Łęgi Dębińskie. The contractors had 9 months to complete the project, which turned out to be to short of a period to construct a solid and modern stadium. On May 16th 1929 the official inauguration took place and 120 thousand people gathered at the new stadium. Before the ceremony began, crack and ruptures at the newly built but overweighed stand were noticed. However, it was too late to evacuate people. A tragedy was avoided, but the stadium was closed down for the next 10 years. In 1938 a renovation began. The old stands were meant to be demolished and new, more solid ones built instead. World War II put the reconstruction to a halt and the Nazis converted the stadium in a Jewish labor camp. The first selections and executions took place at the former sport construction. A statue built near the North Stand in 1983 stands as a memorial for the Jews executed at the stadium. 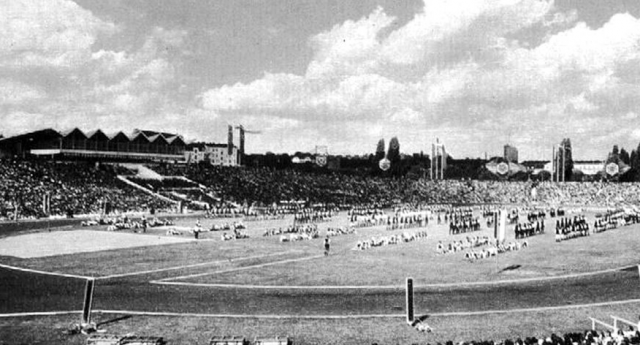 The opening of a new stadium took place in July 1954 and back then the sport structure was named "July 22nd" (the date of a Polish communist holiday in memory of PKWN Manifest from 1944). The next and last renovation began in 1974. A drive-in entry to the pitch was built by the East Stand, but it was used only once when a cycling Race of Peace was organized. A reception pavilion was built on the western side of the stadium. On this stadium Lech debuted on the international area against the German MSV Duisburg. The stadium never belonged to Lech, but there was no other team that aroused such an interest of the fans. The highest attendance in a second-league match was recorded at this stadium. 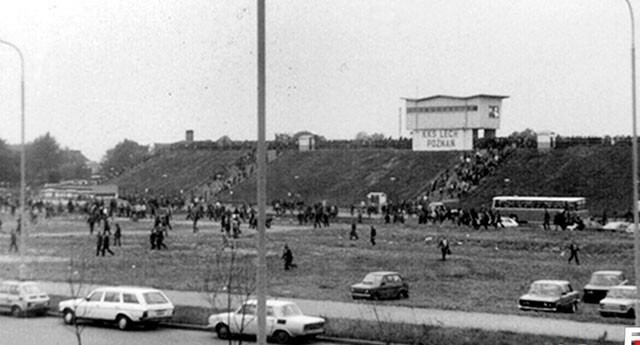 60 thousand people came to watch Lech's clash with Zawisza in 1972. 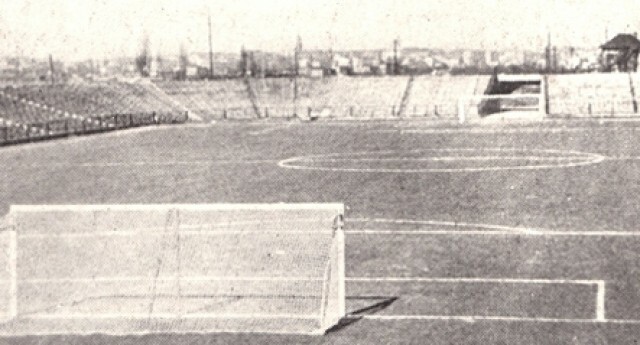 The first game that Lech played on this stadium took place in August 1956 against ŁKS Łódź (Lech won 1:0). The last clash dates back to spring 1980 when Stal Mielce came to Poznań. When Lech came to play at this stadium again in the beginnings of the 90's, Warta has already been the official host. By the end of the 50's the stadium in Dębiec region became too small. The modernization did not change much and although the capacity of the stadium was now bigger, still not enough people could fit. Therefore, chairman Wacław Drab commissioned a search for a new place to a build a bigger stadium. The search was a difficult task, but Drab's deputy Pieńczak succeded. He found out about the land located near the border of the city, covered in forest. The city government gave an approval and the construction began in 1968. Not only was it meant to be stadium, but also training pitches, grass hokey field, sport hall and an indoor swimming pool located near Ptasia Street. Nonetheless, the plans were never fully completed. Initially the construction was meant to last a few years only, but as the works progressed, new problems appeared. The machines used were old-dated, there was not enough soil. Therefore, chairman Pieńczak ordered the ground to be transported from Rataje and Piątkowo regions. Leveling the ground was hard enough, but the workers also needed to fill in the holes created by the bombs and get rid of the surrounding wetlands. The construction was put to a halt a few time, sometimes for 6 years! In order to finally finish the stadium, the construction was named as a part of the Poznań-Berlin railway project which quickened the works and provided necessary materials. In 1980 the stadium was ready. On August 23rd the first match took place and Lech drew with Motor Lublin 1:1. 6 years later the first spotlight were installed at the stadium ahead of the match between Poland and Greece (October 1986). The jupiter light provided a lighting of a power of 1890 lux, thus the biggest in the country. As the years passed, small renovations were made until finally the stadium was reconstructed in the beginning of the 21st century. In 2002 the IV stand was built and it turned the horse-shoe shaped stand into a full rectangle. The stand was ready in 2004 and it turned out to be the first stand with a roof in the whole country. The rest of the stadium was gradually renovated and the works quickened when Poland and Ukraine were announced as the hosts of Euro 2012. The stadium was reopened on September 20th, 2010 when Sting came to perform in Poznań. The first match took place 10 days later and Lech won with FC Salzburg 2:0. On June 13th, 2013 INEA, the biggest telecom operator in Greater Poland became the titular sponsor of the stadium, and thus the name of the construction changed to INEA Stadium. The deal was signed for the next 5 years. The package of sponsorship rights includes the stadium's identification, marketing benefits and implementation of additional projects.